Join Cohen and Cooper for an unscripted, uncensored and unforgettable night of conversation. The late night talk show host and the journalist, longtime friends, interview each other and take questions from the audience. It’s a live, interactive look behind the scenes of pop culture and world events. 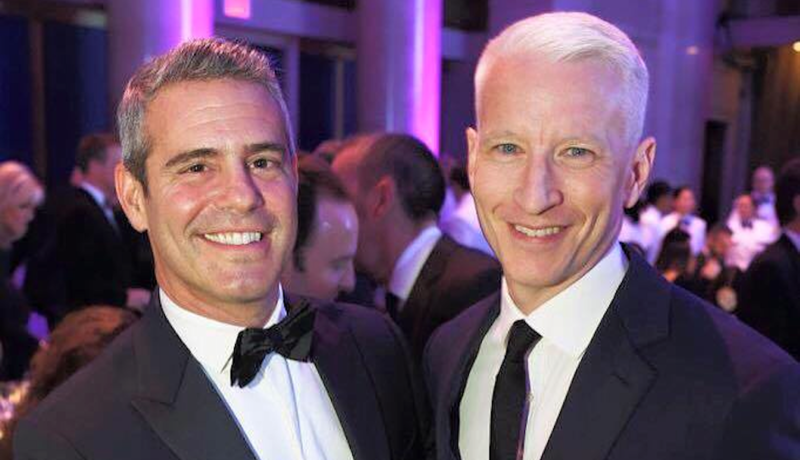 Anderson Cooper is the multiple Emmy award-winning CNN anchor and correspondent for CBS’ 60 Minutes. He has covered most major news events in the US and around the world for the past 23 years, and his memoir, Dispatches from the Edge, topped the New York Times’ Bestseller list. Andy Cohen is an Emmy award-winning host and Executive Producer of “Watch What Happens: Live,” Bravo’s late night, interactive talk show. Cohen is also the Executive Producer of the wildly popular “Real Housewives” series. Cohen has written two New York Times’ Bestsellers: Most Talkative: Stories from the Frontlines of Pop Culture, and The Andy Cohen Diaries: A Deep Look at a Shallow Year.